The Responsibility to Protect (R2P) aimed to halt atrocities as they occurred and rebuild and reconstruct societies in the wake of such crimes. It represented the policy realization of the statement never again. Now a growing international norm, the R2P cuts to the core of what it means to be a moral player in the international arena. 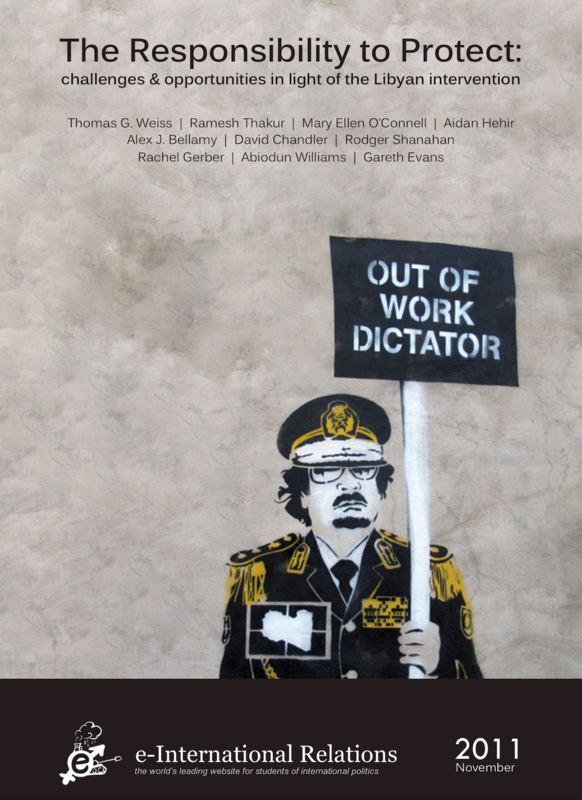 With contributions from many of the world’s most respected R2P experts and practitioners, this Edited Collection attempts to draw attention to the major points of contention that have been highlighted by the Western intervention in Libya following the Arab Spring. Contributors: Thomas G. Weiss | Ramesh Thakur | Mary Ellen O’Connell | Aidan Hehir | Alex J. Bellamy | David Chandler | Rodger Shanahan | Rachel Gerber | Abiodun Williams | Gareth Evans.